​Leaving Lake Myvatn and its stunning landscapes behind, I had several hours before my flight from Akureyri. I decided to drive on Road 1 towards Varmahlid and then discover the Trollaskagi peninsula. On the first leg of that drive I discovered some beautiful and peaceful sceneries including the Oxnadalur valley and the turh houses of Glaumbaer. 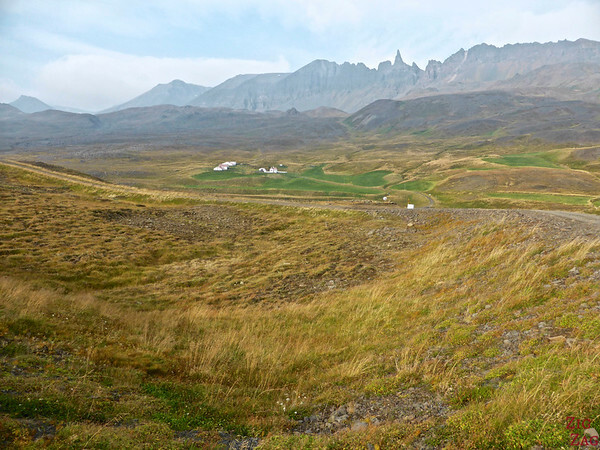 ​Oxnaladur is a long barely habited valley (over 30 km) in North Iceland. Both sides are stunning with high mountains and sharp peaks. Its most prominent feature is the spire of Hrandrangar reaching 1075 meters which is 80 meters over the ridge. 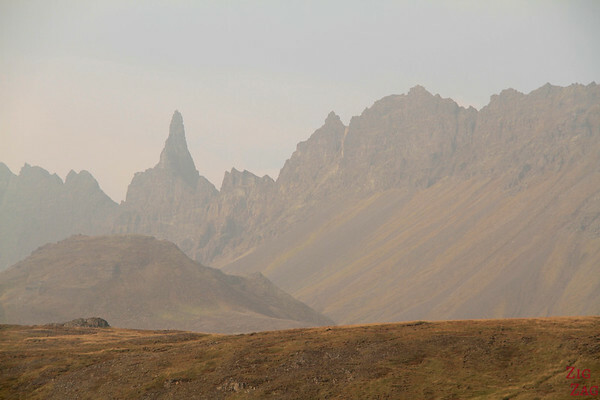 Oxnaladur is considered one of the best scenery on Road 1 between Aukureyri and Reykjavik. I must admit that I was not expecting much as I did not do much research before hand on this area. I had 7 hours left and just decided to drive. And as the clouds dispered I discovered this stunning landscape. I even stopped at a small gorve dedicated to the Icelandic poet Jónas Hallgrímsson​ who was born in this valley. This location had great views of the spire and a nice feel with all the trees. Take your time to drive the 30 km. A nice spot to stop is the grove of Jonasarlundur - you cannot miss it. I wish I had had more time to admire this region but I had a flight later that day. I throught the sharp edge mountain and the contrast of the farms made for some really interesting pictures. As I continued on road 1 towards Varmahlid I discovered other beautiful and peaceful sceneries. The one below especially caught my eyes and I turned around to photograh it. 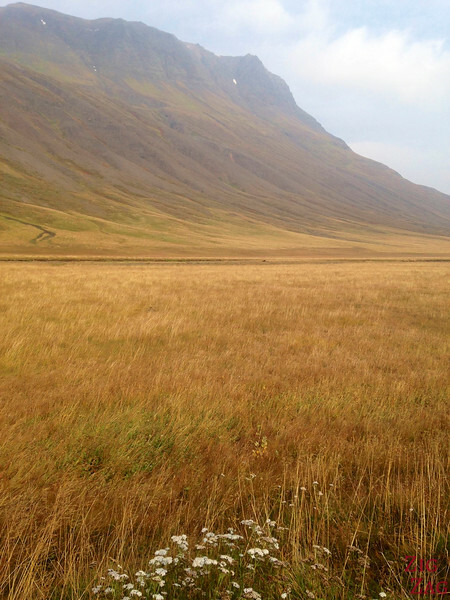 It is just few kms before the crossing or road 1 and road 76, when driving from Akureyri. Before taking road 76 for the Trollaskagi peninsula, I decided for a detour to visit the turf houses of Glaumbaer. Glaumbaer is a farm which has been located on that same site for hundred years (although buildings have changes). 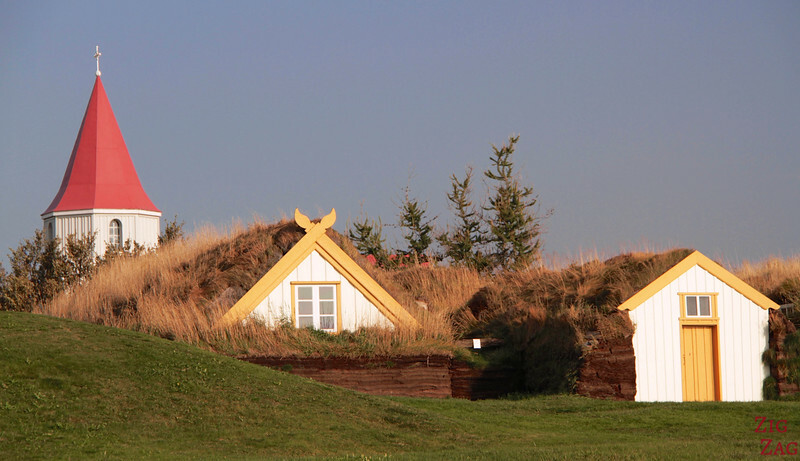 This is a great location to have a close look at turf houses. They have several of them plus a nice little church. As I visited end of September the museum was closed but the houses were opened with some display of old farming equipments. Don't you love such scenic surprises when you travel?